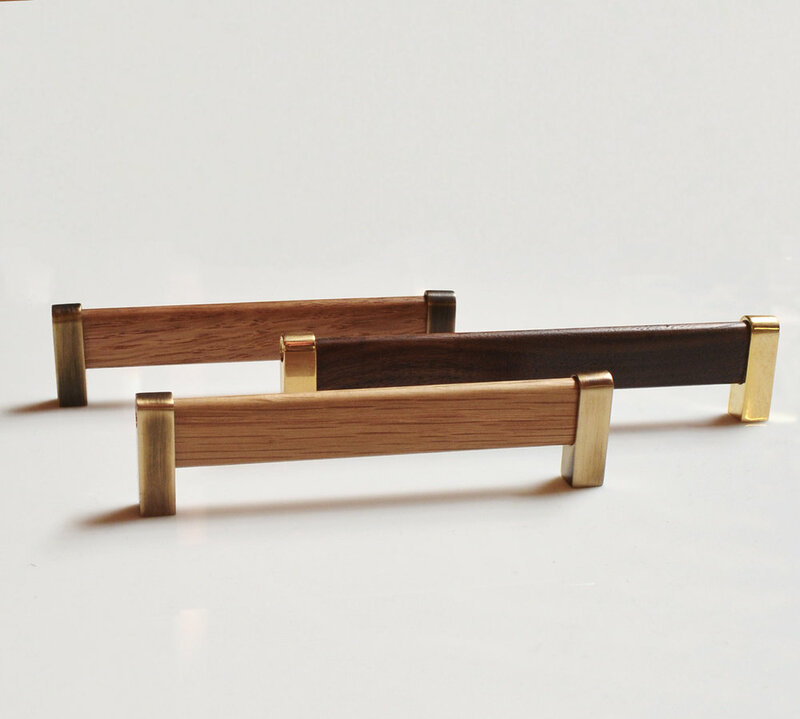 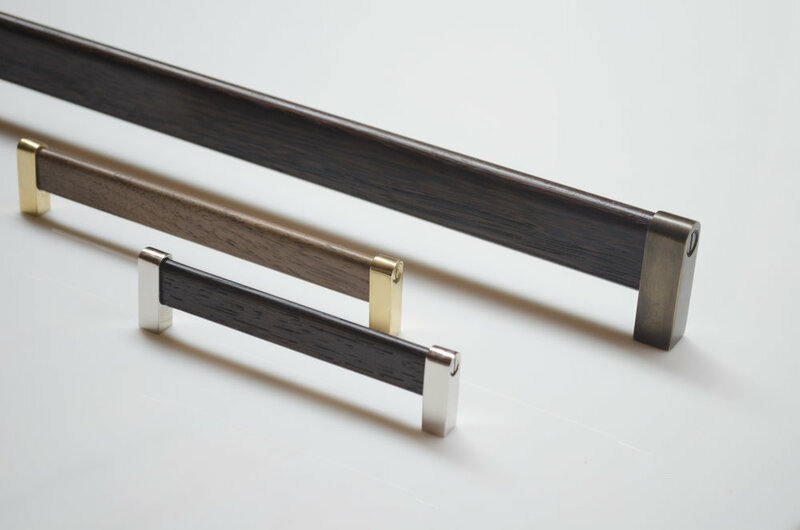 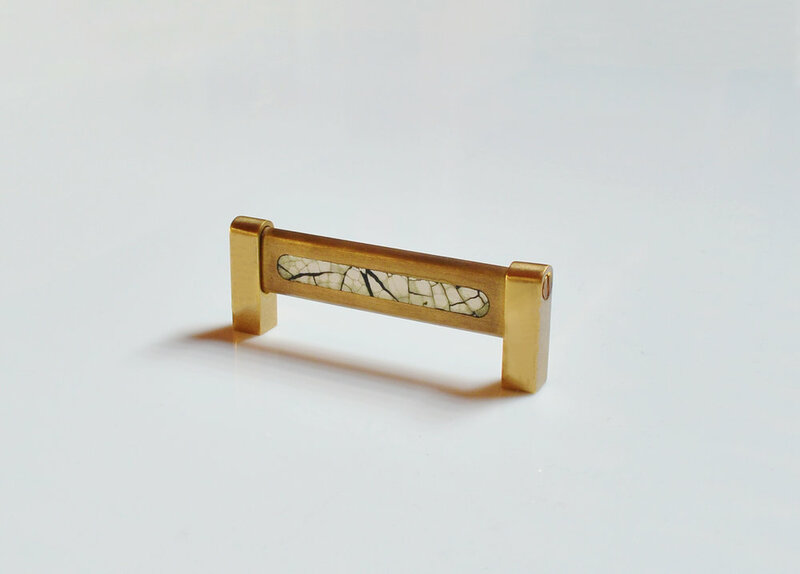 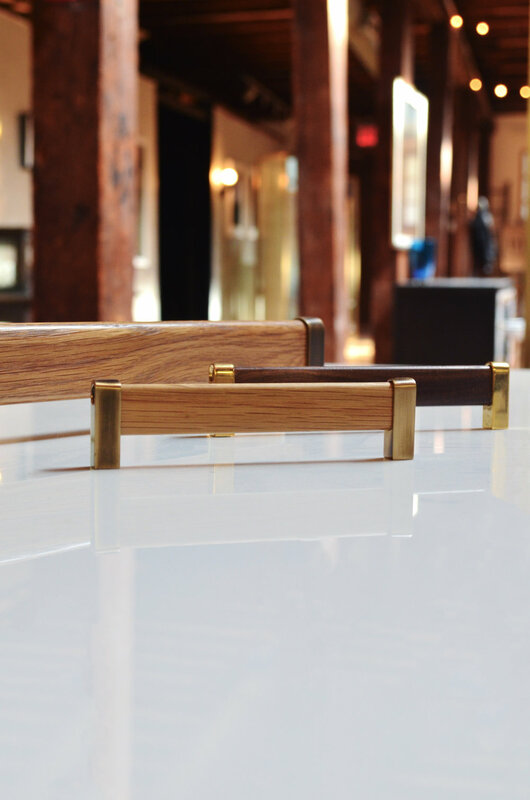 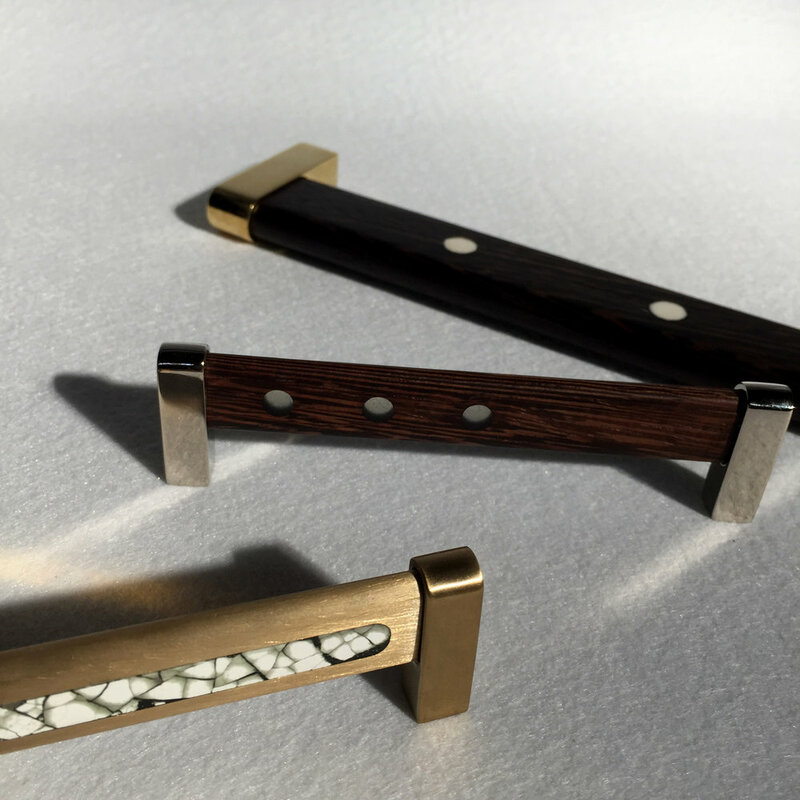 Handle Finishes: DLV Metals (listed above) White or Black Baked Enamel, Wenge, Walnut, or Oak. 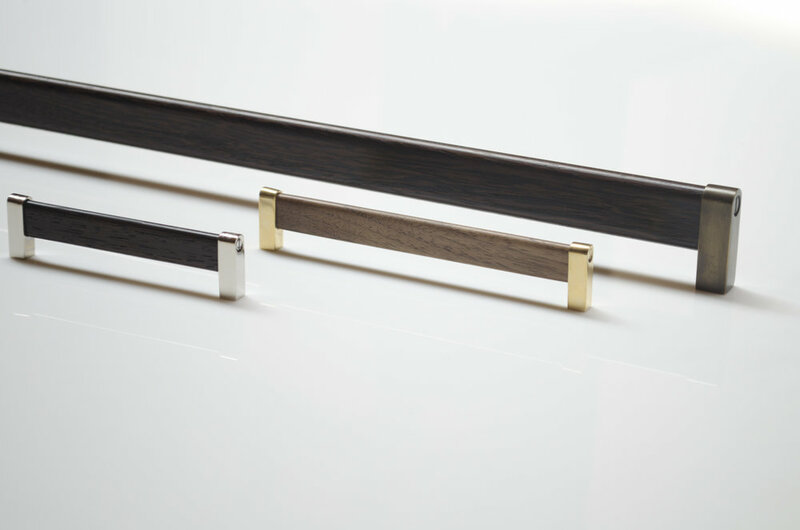 LARGE PULL: 10" and 14"W, 2 1/2 projection. 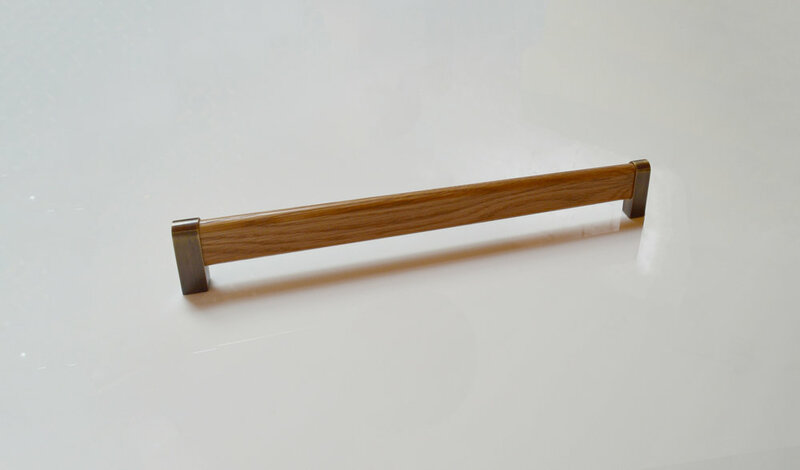 APPLIANCE PULL/TOWEL BAR: 18" and 24"W, 2 1/2" projection.